Some studends from the Maharashi University (MUM) had a chance to meet both David Lynch and Jim Carrey as we reported in the article last month. These students went to Los Angeles for their end of the year trip and one of them was kind enough to tells us about the experience. Many new photos from their day are uploaded to our Gallery. 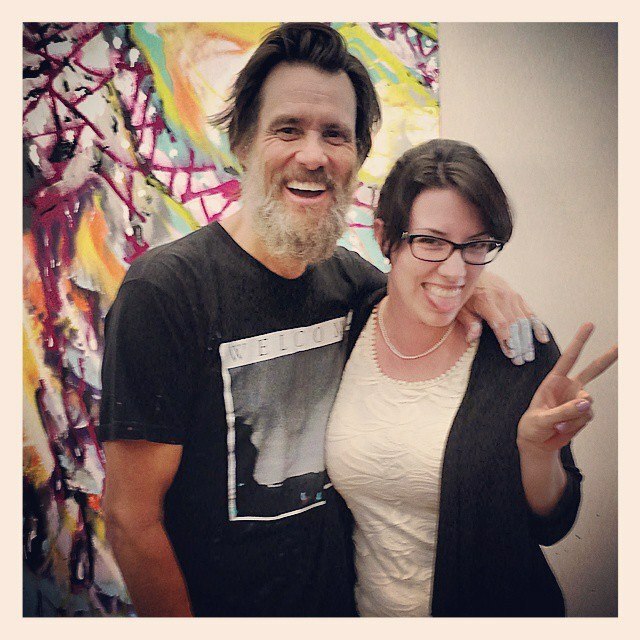 On our last day in Los Angeles we saw Jim Carrey, somewhat unexpectedly. His manager, John Raatz, is on the DLMA board and was traveling with us. He'd dropped hints during the week that we might get to meet the comedic hero, but no one was quite sure until our last afternoon. We were brought up to Jim's art studio in Santa Monica. It was dark with blasting music and a glittering disco ball. We were instructed to gather chairs around a projector that was shining light onto a white canvas. No one knew what was going on and we were all giddy with anticipation. Finally, Jim walked out and welcomed us warmly. One of the first things he said is that he wanted us to help him make a painting but that he needed two volunteers for it. Jennifer and Mary Veronica raised their hands eagerly. Jim positioned them in front of the projector so that their shadows were cast onto the blank canvas behind them. Jim painted the outline of Jennifer's body, but not her head, and then outlined Mary Veronica's head. Everyone chuckled, since it looked like Jennifer had ripped off her head and was holding it away from her body! He put all kinds of bold colored paints in the canvas. We were awed and confused. We watched Jim create his art as his assistants scrambled to bring him various pails and the tubes of paint. 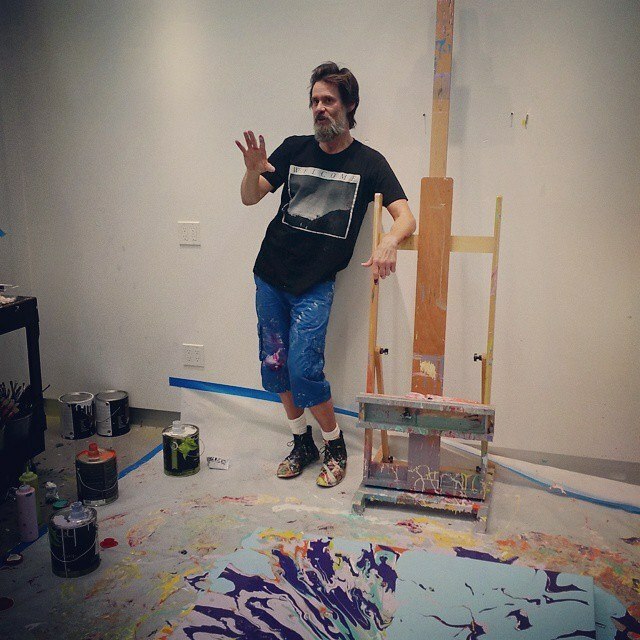 Finally, when the paint was drying, Jim opened up to some Q&A before revealing the artistic masterpiece. The most memorable thing I took away from talking to David Lynch and Jim Carrey is that as artists we're always going to be wacky and that never changes. The only way to stay fulfilled and happy as an artist is to keep creating. Both David and Jim were warm and uplifting, and inspired us to carry on creating our art. The students and I were all spellbound and riveted by their highly accessible talks." For those who never got a chance to meet Jim Carrey, these testimonials are uplifting and makes us happy and hopeful on a better world. A world filled with our creative and unique capabilities. -- With big thanks to Sudevi Mossé. Click to comment this article.